The Wilderness B&B is a beautifully furnished comfortable home on an elevated site overlooking the Connemara mountains and countryside. 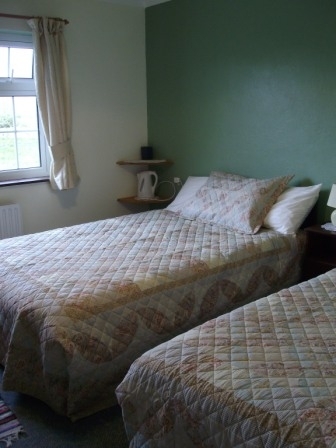 The B&B has four comfortable, spacious and well-appointed bedrooms complete with Ensuite bathroom facilities. Ensuite Room Rates are from €35 per person sharing. There is a child discount of 25%. Single Room Rates are €45 per night. Bedroom Facilities include Ensuite Bathrooms, TV, Tea/Coffee Making Facilities, Iron and Hairdryer.